I carved pumpkins last night for Halloween. We usually have three pumpkins — one big one for me, a medium one for Kristin, and a small one for Collen. Unfortunately when I cut it open, I discovered that it had rotted on the inside. Whew, what a horrible smell! So here are the two I carved this year. 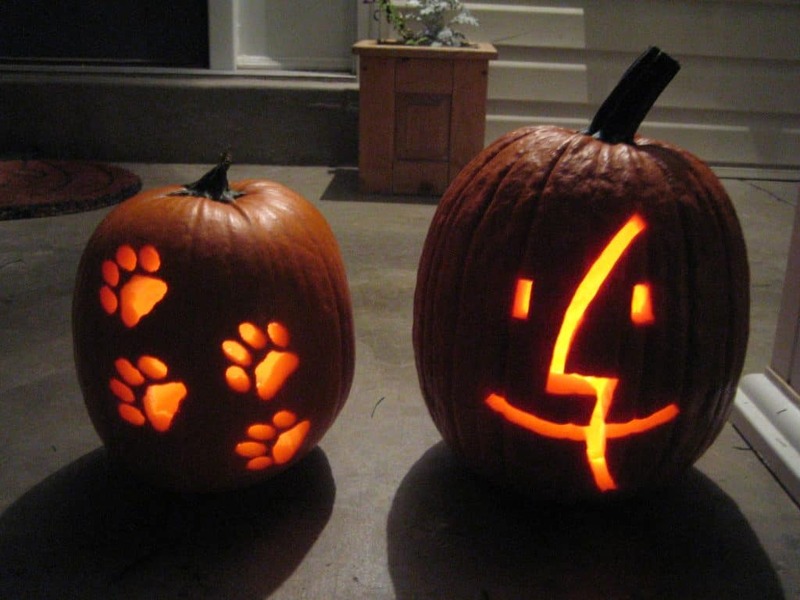 The one with the puppy paws is Collen’s (design courtesy of the Pumpkin Lady), and the Mac OS face is Kristin’s (courtesy of Apple).